Here’s an uncommon winter visitor to Mt Kinabalu. 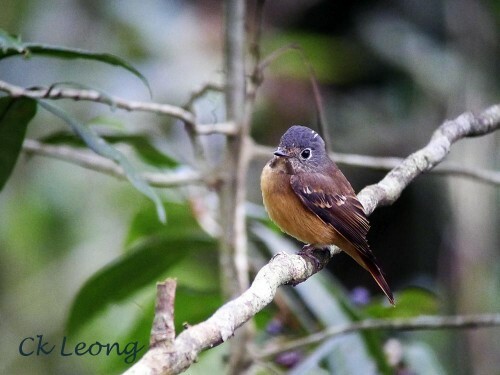 The Ferruginous Flycatcher Muscicapa ferruginea is a typical Old World flycatcher. It prefers to stay in the denser part of the forest, foraging in the lower to middle storey. On the few occasions when I saw it, it had always been solitary. I guess it is almost time for it to go back north. Have a pleasant flight. Very nice one CK. Love the composition.